We presented a quilt to Dr. Dennis S. Weiner today, as a token of our appreciation for his years of service to the #ClinicforSpecialChildren! Dr. Weiner is an orthopedic surgeon based out of Akron Children's Hospital in OH, and specializes in knee and hip repairs for children with dwarfism. Read more about Dr. Weiner's service to CSC in our 2016 Fall newsletter below! and biochemical knowledge to predict and prevent disabilities in children. And I've devoted my life to that idea. Our clinic serves as a trusted medical home for Amish and Mennonite families working to prevent and treat genetic illness in their young children. The sturdy, timber-framed building was “raised” by the hands of those in the Anabaptist community it serves just outside of Strasburg, PA. Inside, it is filled with an array of high-tech gene sequencing tools that allow us to deliver highly personalized care—a precise treatment option for the right patient at the right time. When Mabel Newswanger initially heard about the Clinic for Special Children, she never thought that her own child would require the Clinic’s services. In November 2016, the Newswanger’s suddenly noticed that their son, Randy, was having irrational fits of laughter a couple of times per day. Unbeknownst to the Newswanger’s at the time, Randy was actually having seizures. Just several months later in January of 2017, Mabel Newswanger got a call from Randy’s teacher that he had a seizure during the school day. Later that night Randy had over 20 seizures, leading to a restless and prayer filled night for the entire family. In the morning, Mabel called the Clinic for Special Children and went into the Clinic for an urgent appointment. Upon arriving and after an initial examination, Dr. Vincent Carson, Pediatric Neurologist at the Clinic, recommended that the family take Randy straight to Lancaster General Hospital. The following days at the hospital included an EEG, which confirmed seizure activity in Randy’s brain. 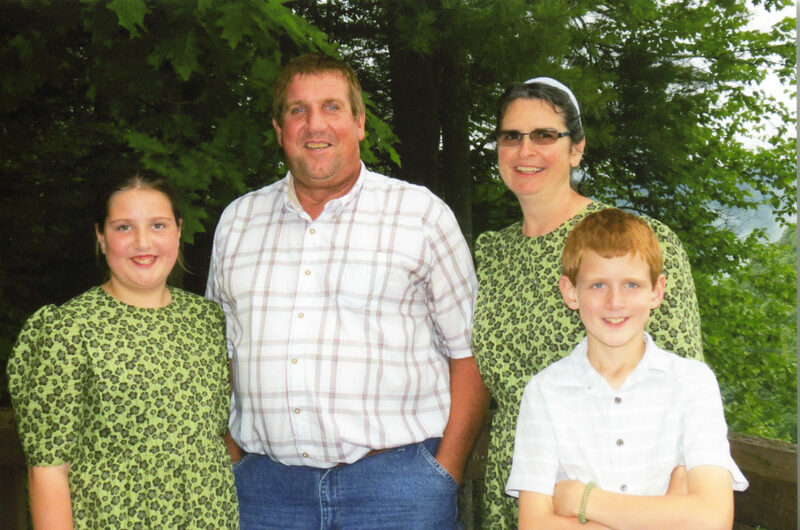 Earlier in 2016, the Clinic team discovered through whole exome sequencing that a variant in the gene, NPRL3, was the cause of epilepsy in a Mennonite family from Ohio. Dr. Carson and Dr. Kevin A. Strauss, Medical Director at the Clinic, collected blood from Randy for rapid targeted genetic testing, which confirmed that Randy had NPRL3. “We used knowledge of the community to develop a targeted genetic test which allowed for us to quickly get to the root of the problem”, Dr. Carson explained. Once diagnosed Randy continued to have seizures until he was placed on Topiramate. Since March 2017, Randy has remained seizure-free. Today he is doing well on Zonisamide. Dr. Carson is working together with Dr. Peter Crino’s team from the University of Maryland to learn more about NPRL3 and epilepsy. If your family has a history of seizure activity, please feel free to contact Dr. Carson at the Clinic at 717-687-9407 to learn more about this study.